The Cape Liguan area, west of Rabaul on the island of New Britain in Papua New Guinea has some absolutely brilliant dive sites. 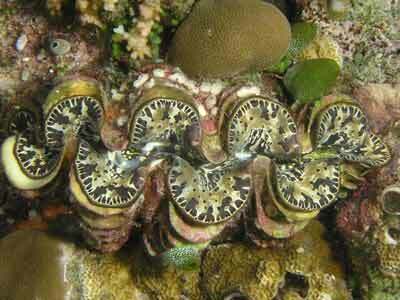 These are on the fringing reef as well as reefs a kilometre or so further west. 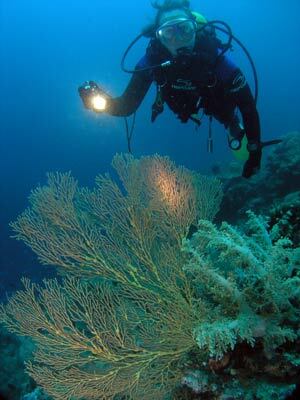 Urara Island is a bit further west and it also has some very good dive sites around. One of these is East Point. As you could expect by the name, East Point starts near the eastern-most point of Urara Island. A GPS of S4° 11' 6.8" E151° 56' 54.9" using WGS84 as a datum will put you in the right spot. It is a 25 minute run from Kabaira Resort to this location using their "slow" boat (23 km.h). At this spot the reef runs back in towards the island. After descending, you head south across a gentle sandy/coral slope till the edge of the reef is met. You turn left to the east and on a slight current, follow this. There are some nice gorgonias here as well as lots of huge sponges. The slope soon becomes a vertical wall that drops to 40 plus metres. Along this wall there are lots of anemones, nearly all of which have clownfish as well as clear shrimp. 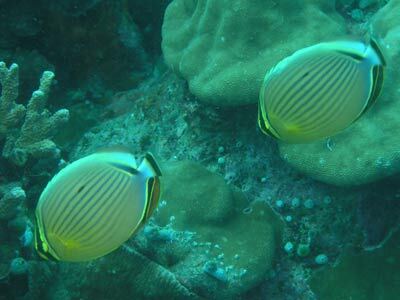 There are many unicornfish and large schools of red bass and sweetlips. The reef turns north-east and then further on north. Along here there are spots where the reef edge becomes a steep slope before changing back to a vertical wall. 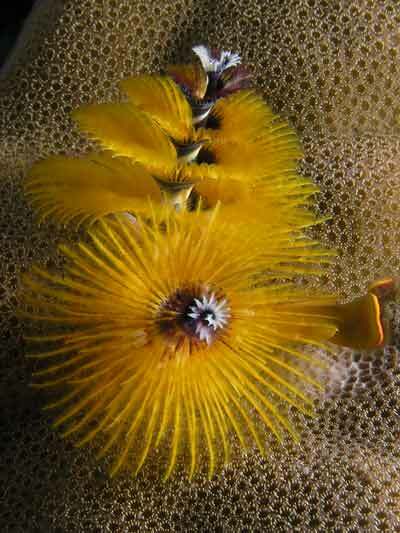 There are lots of soft corals as well on this dive. Towards the end of the dive there are a few indents in the reef (little bays) which are quite nice. At the end of the dive, the shallower section of the reef has some brilliantly coloured corals and lots of small tropical fish. A very nice dive. Unfortunately, my camera was fogged for the first 40 minutes of the dive so I could not get any photographs of the best part of the dive site. Visibility was 20 metres and the water temperature was 29°C.